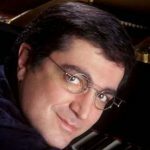 Sergei Babayan’s career commenced in the USA, Japan and UK, shortly after winning several consecutive first prizes in prestigious international competitions such as The Cleveland, Hamamatsu and Scottish International Piano Competitions. He went on to perform with major orchestras throughout the world including the Orchestra of Mariinsky Theatre, Cleveland Orchestra, Baltimore Symphony, Detroit Symphony, the Warsaw Philharmonic, the BBC Scottish Symphony Orchestra, the Orchestre Nationale de Lille, New World Symphony, London Symphony orchestra and others. Ever since, Sergei’s concerto repertoire is constantly growing – at this point he has performed 54 different concertos. He has made several highly praised recordings for EMC, Connoisseur Society and Pro Piano labels, garnered high acclaims including a “critic’s choice” in the New York Times praising Babayan’s “extraordinary technique and ability to play densely harmonized works with illuminating transparency and a daunting measure of control”. American Record Guide joins in these accolades praising his “phenomenal level of color and imagination”. One of the leading piano teachers in the world. Teacher of two winners of former Rubinstein competitions: Daniil Trifonov and Ching Yun Hu.